There’s a reason why the name Mondavi is so famous. 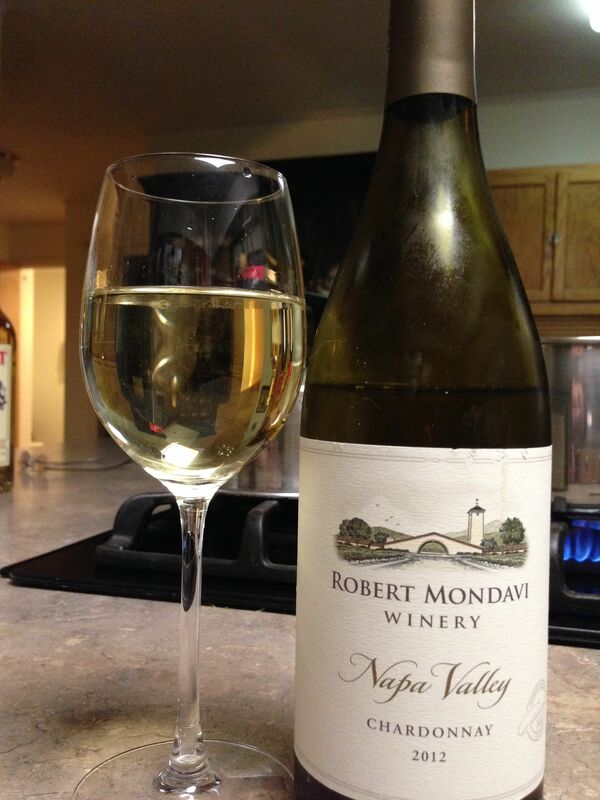 Opening a bottle of Mondavi, even this basic Napa Chardonnay ($19), is always a treat. The wine gives off an immediate hit of rich, buttery pear. It is bursting with flavor, and has a noticeable acidity that balances its richness. The long finish is redolent of oak. This is a wine to be enjoyed with food. It can stand up to whatever you have on your plate, but anything with a cream sauce would be a great match, as would something cheesy. Mondavi has a range of three Chardonnays: this one, an unoaked version ($34), and a special “Reserve Carneros” bottle ($55). But I found myself quite satisfied to sip the delightful Napa 2012. It’s a California classic. The Director of Winemaking at Mondavi, I am delighted to note, is a woman, Genevieve Janssons. You can read her distinguished biography here. Genevieve Janssons, Director of Winemaking at Mondavi. What I would really like to taste now is the Fumé Blanc from Mondavi’s first growth vineyard, To Kalon. At $50, it is a luxury, but an affordable one. To Kalon is Greek for “The Beautiful,” and I have no doubt that this wine lives up to the name. I’ll have to try it. Always on the hunt for a buttery chardonnay. Yes, there is nothing like a Chard for the long finish! I remember trying a Mondavi charddy a long time ago when I was in California, delicious. I will keep my eyes open in the limited US wine section in the wino shop. I’ve never been much of a white wine drinker, probably because I tend to go for cheaper wines and white wines are pretty much undrinkable in this price range. I did try some good whites in Paso Robles, and I would certainly drink those if I could afford to. As you can see, I’m not much of a wine connoisseur. But I sure like the idea of drinking “To Kalon”. Let me know if you ever try it. It’d be nice to know what to buy. I tend to shy away from trying anything that pricey if I don’t know it whether it’ll be good. We usually buy in the $10-$20 range, and $30-$50 for special occasions. Plus I drink Black Box Chardonnay, which is a good value and very pleasant for everyday. I started out as a red wine lover, but now I am a confirmed drinker of whites, as they go better with vegetarian food. This is a little off topic – well not completely. I love red wines, especially with the right foods, but in the last few years I have developed some sort of allergy to it, so that with more than one glass, sometimes even just one glass, it affects my breathing. This is so even with high quality, fine red wines – so I mostly drink white now. I don’t care for California Chardonnay for its sharpness and bitterness – here’s the OT question – I once had a Chardonnay that had a caramel, butterscotch note. Any idea what that might have been? Not that I could obtain here in Mexico – but maybe. Interesting. I think I’ve heard of that issue before, that wine can cause an asthma-like effect. Scary! Good thing it is only the reds that are problematic for you. It sounds like an allergy. Others complain of headaches, and I find reds to be harder on my stomach lining. As to the caramel-like white, I have no idea but it sounds great! People often perceive very different qualities in wine. I have never experienced Cal chards as bitter, for example. But as for the butterscotch or caramel notes, I would expect to find them in an oaked version, and perhaps also one that is more aged. I do have a type of asthma, but not the type that causes asthma attacks out of the blue, as the red wine does. The negative effect of red wine hit me only within the last few years. Before that, I would get headaches the next day – but they were worth it. As to the caramel wine, I recall it was a California wine, and I was enjoying it with a large group of friends who brought several bottles of it, and all of us agreed about the caramel notes. I think I’ll ask and see if anyone remembers. If you hear back, I’d love to know!